Midleton VR 2017 Connacht Launch in Sonny Molloy’s, Galway. I received an invitation to ‘Go West’ recently – so I did. ran the lyrics to a popular song. By the time I got there on a dark, rainy & windswept November evening there was lots of open air for sure, but it was turning my skin blue with the wintry showers! Thankfully there was a warm welcome and an even warmer open fire in the cosy heart of Sonny Molloy’s Whiskey Bar in Galway. The event happened to be the Connacht launch of the very highly esteemed Midleton Very Rare 2017 release hosted by none other than wine guru John Wilson who introduced us to Irish Distillers Head Distiller Brian Nation . Brian – in turn – welcomed the gathered crowd into the world of Midleton VR. For those that are not familiar with Midleton VR – a brief introduction. Midleton VR is a 40% non age statement blend of the finest aged single pot still & single grain casks Midleton Distillery has in stock at the time of blending the annual release. 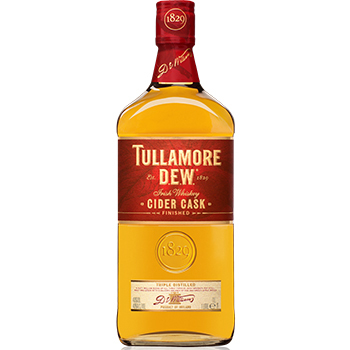 Normally matured in bourbon casks the whiskey to many is the finest Irish whiskey blend there is. Being an annual limited release the series – started in 1984 – automatically becomes sought after by whiskey collectors. So glasses were poured – and a very attractive MVR logoed glass too – as Brian led us through a communal sampling of the delights of this 2017 bottling. Now at this juncture I must admit to trying a few Midleton VRs in my time. None of them overwhelmed me nor grabbed me as many a whiskey does. They are usually very well crafted & finely balanced with a complex marrying of subtle notes & flavours so that no one element dominates. Perhaps just a bit too subtle & well balanced for my palate? But on the first nosing of this 2017 release the rich warm aromas associated with bourbon cask maturation drew me in. A combination of a 32 year old single grain with single pot stills up to 26 years old certainly worked their charms. On tasting the lovely oily mouthfeel which coated the palate together with that signature single pot still spice combined to further entrance me. A hint of orchard fruits emerged too & the whole flurry of flavours danced on the tongue during the very long finish. I think I’ve just been won over by this one. To up the stakes Brian produced an unmarked bottle. He proceeded to tell us we were the first audience to sample the 2nd generation of Midleton Dair Ghaelach whiskey finished in virgin Irish oak casks from a forest in Ireland he couldn’t reveal! Being a cask strength release around the 58% mark this single pot still was a far punchier whiskey. Lovely rich oaky tannins over and above the vanillas & caramel from the bourbon cask maturation pleased me very much. A meatier whiskey than the finely tuned VR. If that wasn’t enough Brian revealed a final tasting. Midleton have recently announced the Very Rare Cask Circle Club where for varying degrees of money you can select your own casks & maturation times before Middleton will bottle the cask for your pleasure. We would be tasting from one of those casks offered for sale. Originally barreled in a bourbon cask in 2004 & re-casked into a Malaga hogshead in 2009 this 13 year old single pot still could be yours for somewhere in the region of 230 to 250,000 euro! Erm, Could I have a sample before I buy? Again at cask strength this is a powerful whiskey packed with flavour. The Malaga influence has toned down some of the fire & introduced more sweet yet heavier fruity notes to the rich vanilla bourbon undertones. It would make any prospective buyer very happy indeed. I’m just not sure my budget can stretch that far at present! Brian then presented Shane McMahon – General Manager at Sonny Molloy’s – with a bottle of Midleton VR 2017. Shane scaled a ladder to place this latest release among the complete collection of Midleton VR bottles dating back to 1984 which is housed in a glass cabinet in the bar itself. An astounding collection, an astounding evening & an astounding whiskey! I would like to thank all the staff & teams at Sonny Molloys & Irish Distillers for the warm hospitality & generous tastings on the evening. Brian Nation‘s speech at the recently held Irish Whiskey Awards 2016 held in the fabulous surroundings of the Old Bonded Warehouse in Tullamore certainly piqued my interest. A number of points were raised that particularly caught my attention. The first was the spectacular rise of Irish Whiskey in the global market and how everyone associated with ‘BRAND’ Irish Whiskey – from producers to publicans, distributors to bloggers – had a duty of care to promote and protect the integrity of that brand. I’ve just been branded myself! 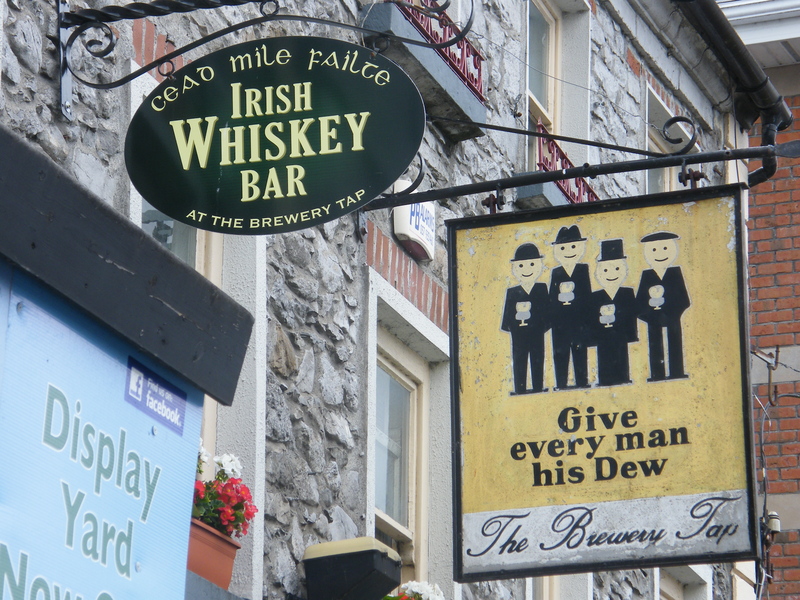 But what is Brand Irish Whiskey and who defines it? Before I could process those thoughts another key word leapt out at me. 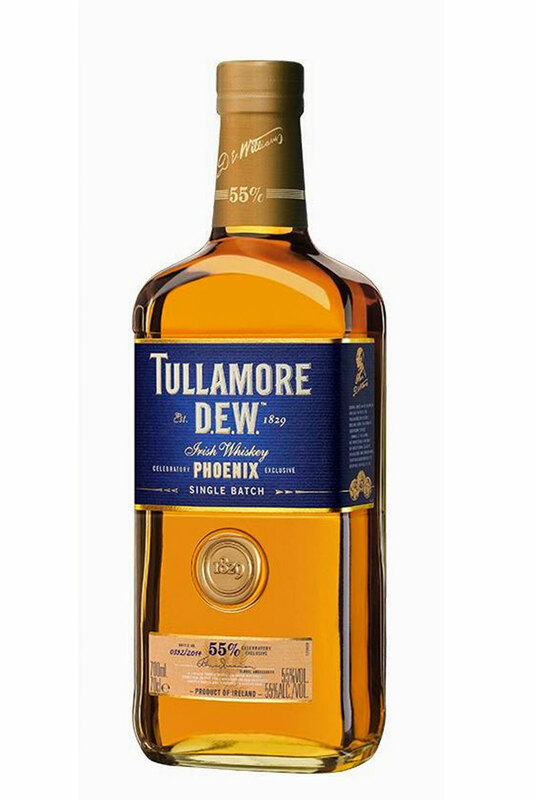 There certainly has been some wonderful innovation in the Irish Whiskey scene lately. The new entrants into the market have been at the forefront of this in my opinion. The multi award winning Teeling Whiskey Company use rum casks to finish their Small Batch blend and Californian wine casks to add flavour to their Single Grain. Neither casks being commonly used. Single Grain is also unusual. Before Teeling Single Grain was released Greenore – now renamed Kilbeggan Single Grain – was the sole representative in this category. Both these Teeling expressions won Best in class awards on the evening with Kilbeggan Single Grain winning Gold. West Cork Distillers are also new entrants and have been making spirits often under the radar of the mainstream. The bold design of their Pogues bottle together with the brand association attached to the famous/infamous group – depending on your preference – was certainly innovative. Criticism has often been attached to the quality of the liquid inside West Cork produced offerings yet winning a Gold Award for the Galway Bay Irish Whiskey release certainly raises their game and puts them in the spotlight. Midleton themselves -the brand owners of Irish Whiskey during the years they were the only players in the field – haven’t been caught napping. Using whiskey casks that have previously held beer for the growing Irish Craft Beer scene to mature Jameson Caskmates has certainly been a hit that is now being expanded into other markets. The new Makers Series offer some innovative stories to the spirit although I did find the liquid rather ‘safe’. Nonetheless 2 of the releases won Gold Awards. MIDDLETON ARE GROWING RYE IN IRELAND! Now it won’t be harvested until early spring 2017 and a further minimum of 3 years at least before any spirit can be released – but as a confirmed lover of rye – I can’t wait! Luckily for me I didn’t have to. A couple of kind gentlemen from across the pond had informed me beforehand they had brought over something special. Whilst the Corsair Triple Smoke blew me over it could be categorised as an ‘extreme’ whiskey. I did love it however. The Emerald release from Ransom Spirits of Oregon was far more approachable however and much more pertinent to the Irish Whiskey brand. Made using barley, oats and rye to an 1865 Irish Whiskey recipe uncovered by some research this stunning whiskey is satisfyingly smooth yet rich in mouthfeel coupled with a delightfully long rye spice finish. 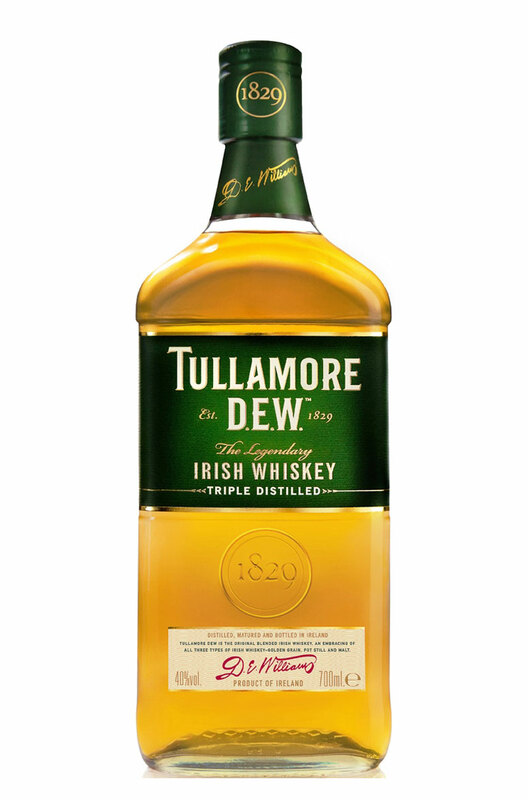 Emerald to me have captured the PAST of Irish Whiskey in a bottle of the PRESENT. When you know Brian Nation and his colleagues are poring over old Jameson recipes from the early 1800’s that included rye and oats – as well as currently growing rye in the fields around Enniscorthy – then couldn’t this be a representation of the FUTURE of Irish Whiskey? Unlike The Brewery Tap – I’ve actually visited Kelly’s before for a few drinks – but as it was in my pre-whiskey days – I can’t remember what I was on. The ‘piece de resistance’ in Kelly’s Bar is the wall of whiskey – well all 2 of them really! The first is a very impressive wooden shelf display behind the bar showcasing a fine range of whiskeys for sale – whilst the other is a room divider proudly emblazoned Uisce Beata with barrel tops highlighting various Irish Distilleries both past and present. I’m afraid to say that despite the wide choice on offer – I partook of nothing stronger than a hot cup of tea during my visit to this welcoming and homely establishment as I was on driving duty. But I did scan my photos later and spotted a few tasty drams I wouldn’t mind trying out! All this was wrapped up in a friendly bar adorned with whiskey paraphernalia – old photographs, mirrors, empty cartons and bottles in the public bar – as well as hundreds of beer tankards attached to the ceiling beams in the lounge area. Talking about beer – I was pleased to see a trio of craft beers from the Boyne Valley Brewery on show. 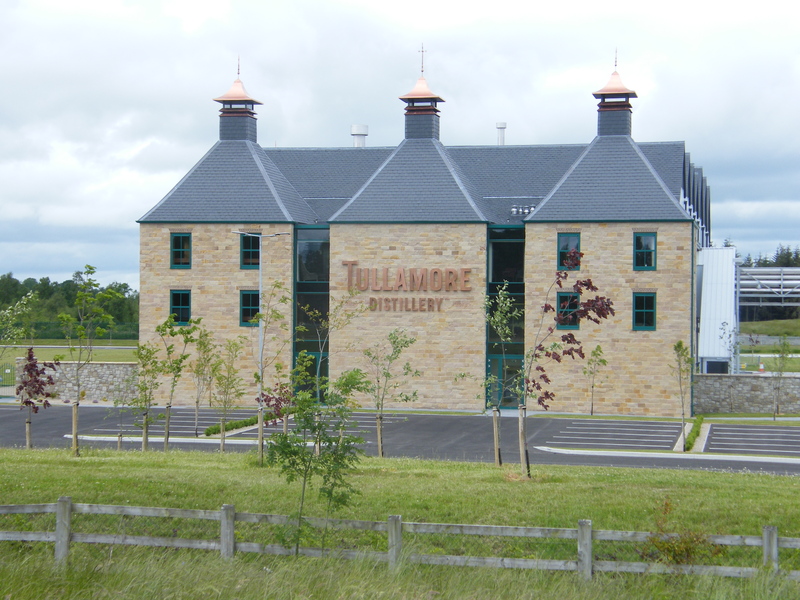 Aine O’Hara is not only the head brewer at this new facility – she is also the master distiller too! I’ll look forward to tasting some Boann Distillery Whiskey in the next few years! 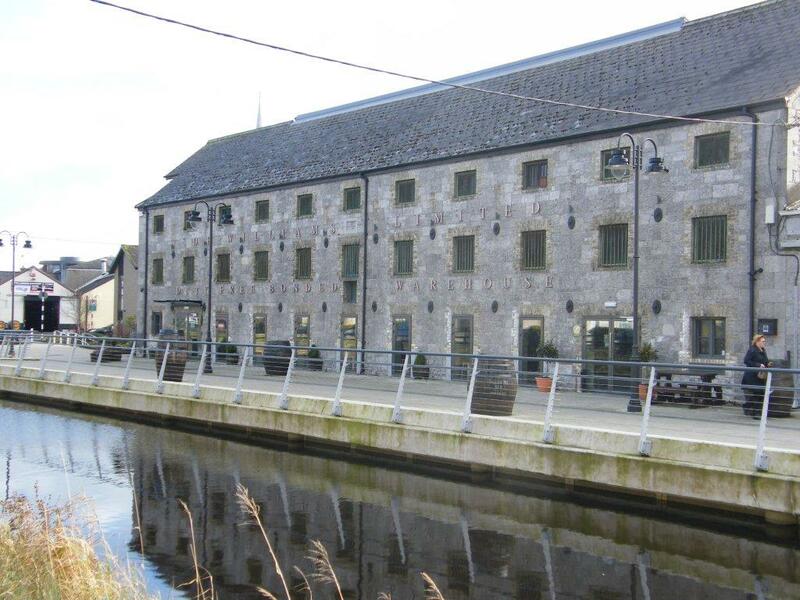 Kelly’s Bar is situated beside the Grand Canal only a short walk from the Tullamore DEW Visitors Centre. 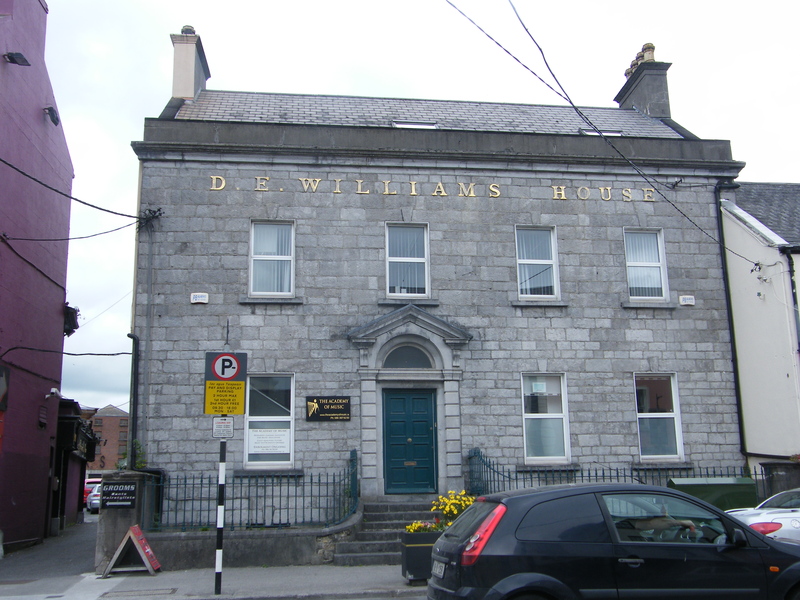 The canal aided the whiskey distilling trade in 1820’s Tullamore when barley, peat and coal was shipped in to the 2 working distilleries – with the whiskey produced going out to Dublin or Limerick for onward distribution. The canal makes a very pleasant walk in fine weather. Perhaps best undertook before you indulge a little in Kelly’s!